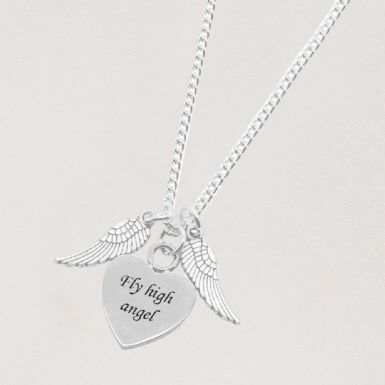 As a sentimental way to remember a lost loved one, this necklace with engraved heart and angel wing charms is a popular choice for many. 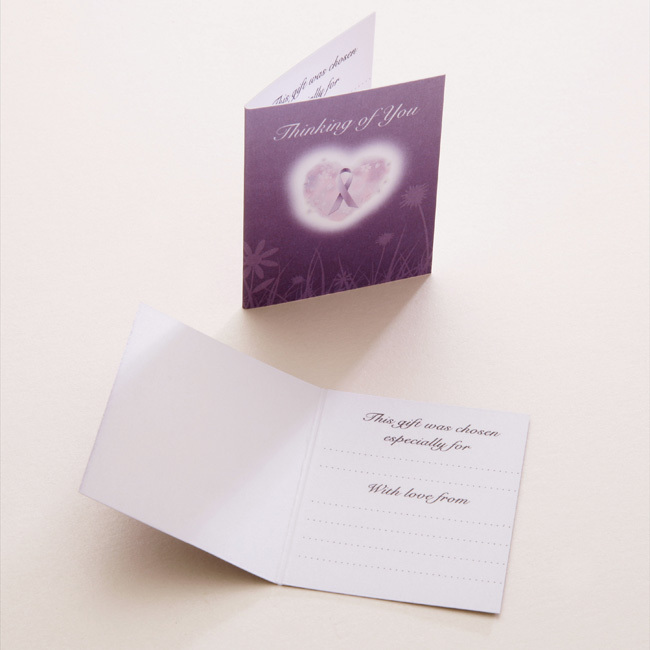 Presented in a white deluxe, padded and hinged gift box with the little “Thinking of you” gift card shown. Featuring a pair of Tibetan silver angel wings over the engraved steel heart. Perfect for engraving dates, names, Bible verses or special messages. Makes a lovely sympathy gift or remembrance necklace. 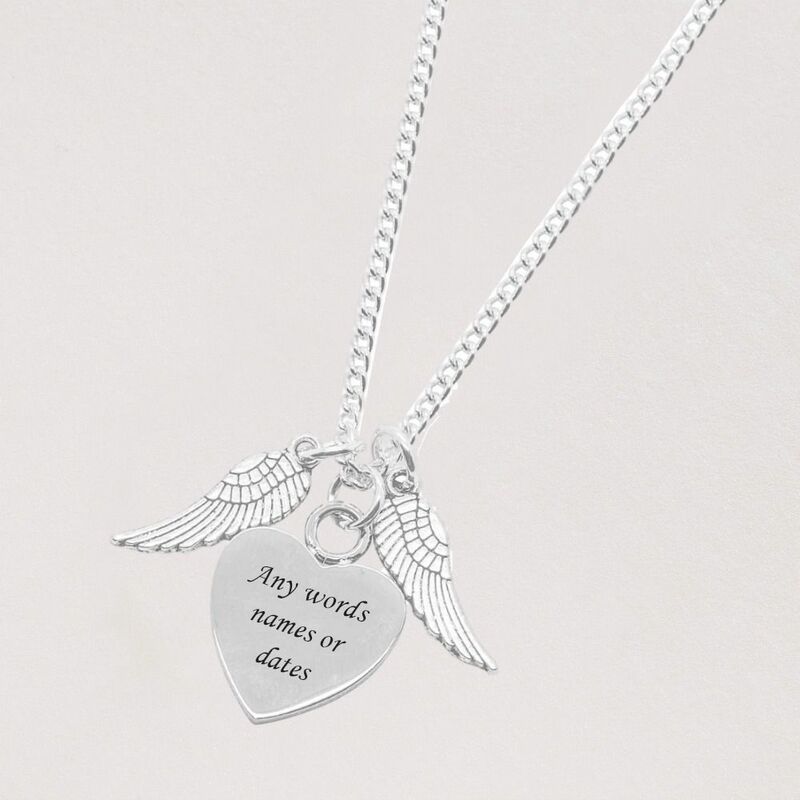 Part of our range of memorial necklaces. A memorial necklace is a lovely idea for a sympathy gift for someone who is grieving after the loss of a loved one. See also our pet memorial gifts and baby memorial gifts for more ideas to find the perfect present. Memorial gifts are a lovely way to show your love and concern for someone else or to have as a memory keepsake for yourself. Sizes: Ladies or Girls sizes available. The heart is 17mm x 17mms. Metal Parts: High quality stainless steel heart, Tibetan silver wings on strong silver plated necklace chain.